A paper copy of this document is available upon request. 1. Inherent Risks. I acknowledge that rock climbing, renting climbing equipment, and climbing in an indoor gym using artificial surfaces entails known and unknown and unanticipated risks that could result in physical or emotional injury, death, or damage to myself, to property, or to third parties. I understand and acknowledge that the enjoyment and excitement of this type of activity is derived in part from inherent risks created by activity and that such risks simply cannot be eliminated without jeopardizing the essential qualities of the activity. Safety gear may prevent or lessen injuries in some instances; however, use of safety gear is not a guarantee of safety and injury may still occur. I specifically acknowledge that the inherent risks associated with rock climbing, renting climbing equipment, and climbing indoors using artificial surfaces include, but are not limited to: falling off of the climbing wall; being fallen on or impacted by other participants; poor or improper belaying; being jolted, jarred, bounced, or shaken while climbing or belaying; entanglement in ropes; abrasions or burns from ropes; impacting the ground and/or climbing wall; loose, dropped, or damaged ropes, holds, or other objects; equipment failure; improperly maintained equipment, including rental equipment; displaced pads or safety equipment; belay, anchor, or harness failure; general slips/trips/falls or painful crashes while using any of the facilities of the Rock Dump; climbing out of control or beyond my or another participants limits; the negligence of other climbers, spotters, visitors, or participants who may be present; participants, instructors, or employees giving or following inappropriate climbing advice; mine or others failure to follow the rules of the Rock Dump; my own negligence or inexperience; dehydration, exhaustion, cramps, or fatigue, some or all of which may diminish my or the other participants ability to react or respond. I understand and expressly acknowledge that I have the responsibility to protect my own safety and the safety of others while participating in any activity at the Rock Dump. I also acknowledge that I have the responsibility to inspect any and all facilities or equipment to be used or rented and to immediately advise the Rock Dump of anything which I consider to be unsafe. I further acknowledge that Rock Dump instructors, employees, volunteers, agents or others have difficult jobs to perform. They seek safety, but they are not infallible. They might be ignorant of mine or another participants fitness or abilities. They may give inadequate warnings or instructions, and the equipment they use or recommend or provide or rent to me might malfunction or be poorly maintained. I further acknowledge that the use of drugs or alcohol before or during my participation in any or all of the activities associated with or provided by the Rock Dump is prohibited. I understand that the Rock Dump reserves the right to deny me or any other person participation before or during an activity if it finds that person to be mentally or physically impaired or unprepared. I acknowledge that I AM ULTIMATELY RESPONSIBLE for my own safety during my use of or participation in the Rock Dump facilities, equipment, rentals, or other activities. 2. Release and Waiver of Rights Including for Claims of Negligence. 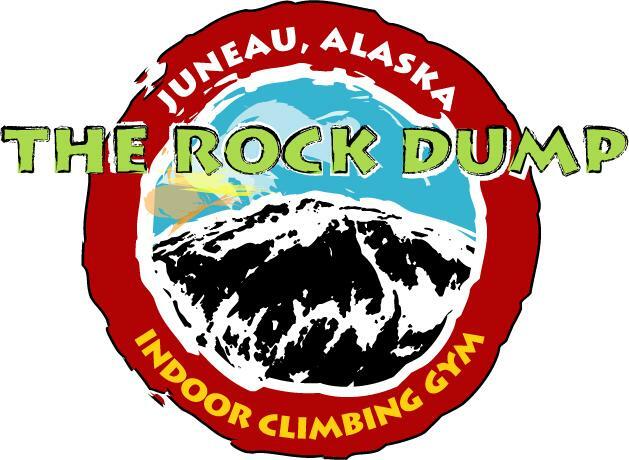 It is my intent and I voluntarily agree to release the Rock Dump from liability for acts of negligence unrelated to the inherent risks of climbing. In addition, I forever discharge, and agree to indemnify and hold harmless the Rock Dump from any and all claims, demands, or causes of action, which are in any way connected with my participation in these activities or my use of the Rock Dump's equipment, rentals or facilities, including any such claims which allege negligent acts or omissions of the Rock Dump. 3. Express Assumption of Risk. I expressly agree and promise to accept and assume all the risks existing in the premises, facilities, rented equipment, or activities involved or associated in any way with the Rock Dump and/or my participation with or at the Rock Dump facilities, equipment or activities. My participation in these activities and at these premises is purely voluntary and I elect to participate in spite of the risks. 4. Indemnity. I shall indemnify, hold harmless (in other words, I agree to pay for), and defend the Rock Dump from a claim or action for injury, damage, or death, including but not limited to any costs, attorney's fees, and other expenses related to the claim or action. 5. Venue, Severability, Breach of Contract/Warranty Waiver, Etc. I agree that, if it is necessary to litigate the terms of this contract, the venue shall be the State of Alaska, First Judicial District, Juneau and the document shall be interpreted according to the laws of Alaska. I agree that if any portion of this document is found to be void or unenforceable, the remaining portion shall remain in full force and effect; this document is intended to be interpreted as broadly as possible. I understand that this document constitutes the entire agreement between myself and the Rock Dump and that it cannot be modified or changed in any way by representations or statements of any nature, including advertising, outside of this document. 6. Personal Skill & Insurance. I certify that I have sufficient skill and fitness to participate in the activities offered at the Rock Dump. I further certify that I have no medical, mental, or physical conditions which could interfere with my safety or ability to participate in these activities, or else I am willing to assume and bear the cost of all risks that may be created, directly or indirectly, by any such condition. I further certify that I have adequate insurance to cover any injury, damage or emergency transportation costs I may cause or suffer while participating, or else agree to bear the costs of such injury, damage or emergency transportation costs myself. 7. Release as Contract and Personal Capacity. I expressly agree and acknowledge that this document will apply to every visit to the Rock Dump, to all Rock Dump equipment, and to all Rock Dump activities in which I participate. I understand that his release of liability has no expiration date and may only be revoked by me, in writing. There is no other reason why I would lack the capacity to agree to the terms of this document. By signing this document, I acknowledge that if anyone is hurt or killed or property is damaged during my participation in or use of the Rock Dump activities or premises or facilities or rental equipment, I may be found by a court of law to have waived my right to maintain a lawsuit against the Rock Dump, on the basis of any claim from which I have released them by signing this document. Join the Rock Dump's mailing list. If the participant is under 18 years of age, a parent or legal guardian's signature is required. I have authority to legally act on behalf of the minor listed above. I agree to all terms of this document on behalf of the minor I am signing for. I understand and acknowledge that the Rock Dump relies on this representation to its detriment.